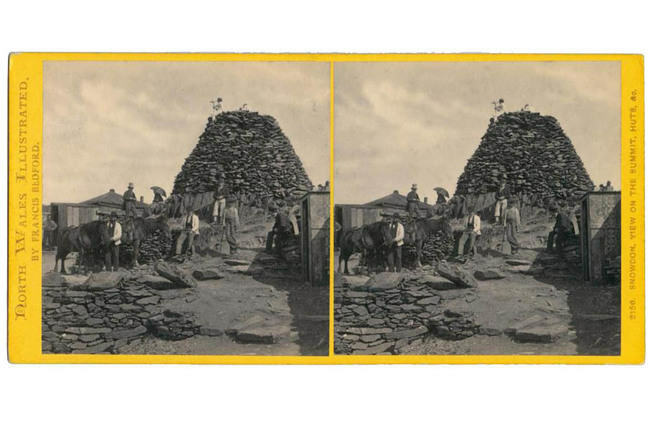 In contrast to technology and industry, Victorian stereo photography also featured romantic scenes and monuments throughout the British Isles. 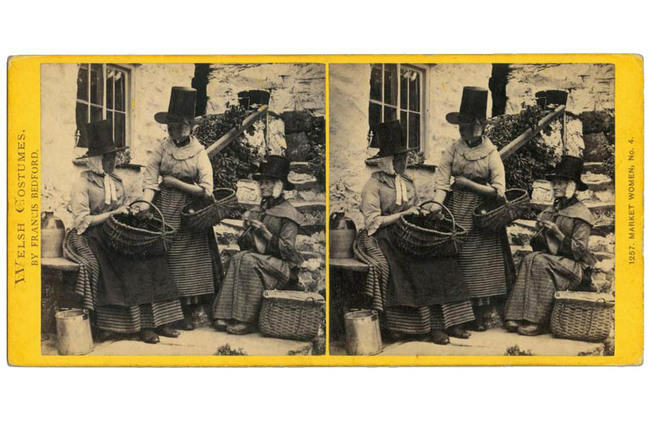 One expert has estimated that more than 800 photographers in Britain were producing commercial stereographic views. Here are just a few; we will look at Scotland in more detail in the next step. 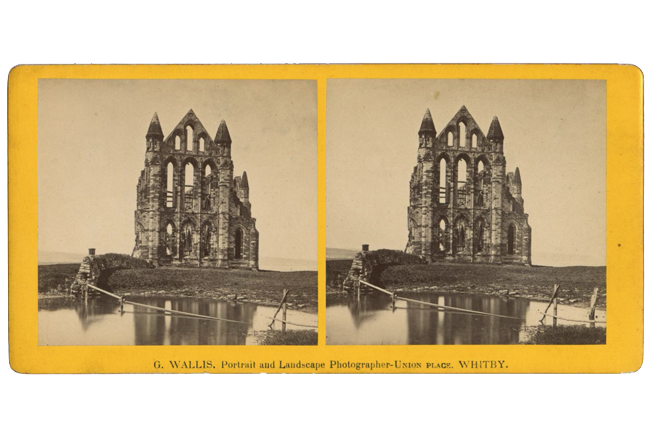 Set high above the seaside town of Whitby, North Yorkshire, this ruined Abbey inspired author Bram Stoker to set this as the scene where his fictional character Count Dracula came ashore. This image, below, is not a romantic landscape, but we wanted to include the story of Nelson’s Column, the landmark monument in Trafalgar Square in central London. It was built to commemorate Admiral Horatio Nelson, who died at the Battle of Trafalgar in 1805. The monument was finally completed in 1843, a full 38 years after the hero of Trafalgar had fallen in battle. 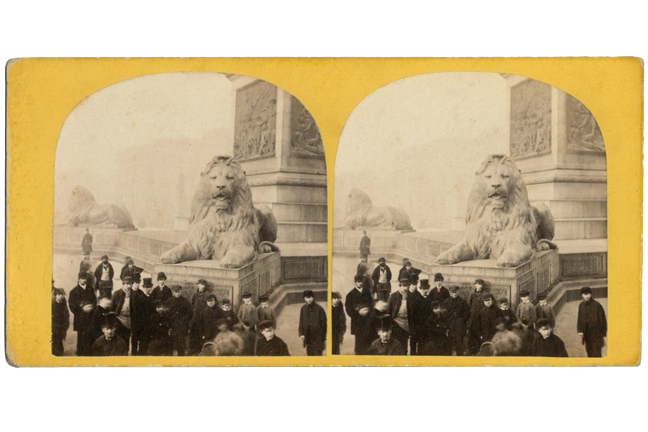 The lions at the base were delivered in 1867, when this stereo-albumen print (below) was taken. By this time the public had almost lost interest in the project. 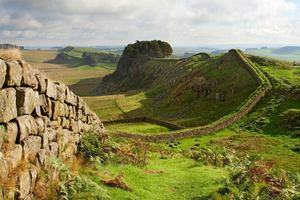 The ‘Giant’s Causeway’ is an area of interlocking basalt columns, the result of an ancient volcanic eruption. Located at Bushmills, County Antrim, Northern Ireland. 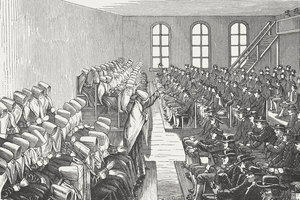 Then as now, it remains a popular tourist attraction. Francis Bedford (1816-94) built up a negative library of over 3,000 views from all over England and Wales. He was considered a master of architectural images. 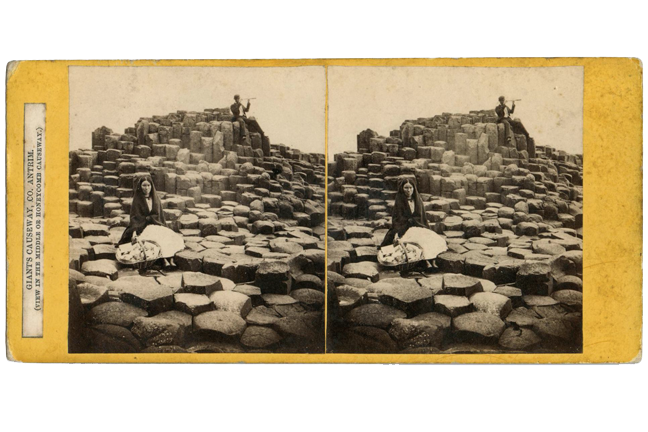 His photographs were well received at the 1862 International Exhibition in London. In that same year, he accompanied Queen Victoria’s eldest son, the young Prince of Wales on a five-month educational tour of the Middle East. 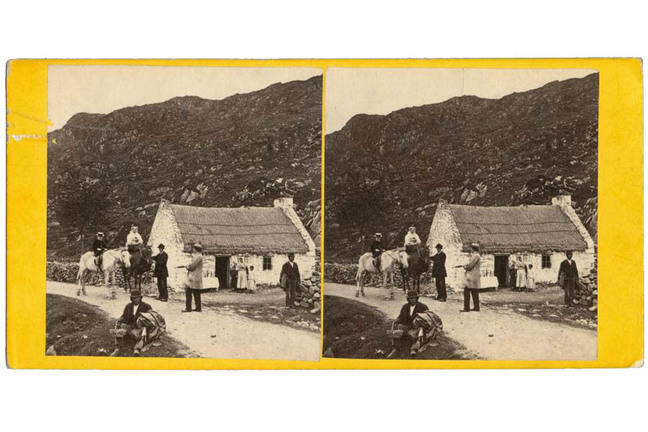 Bedford captured this image of visitors at the summit of Mount Snowdon, the highest mountain in Wales, apparently aided by horses!